Posted on June 23, 2016, in Developing Global Trends, EARTH SHIFT, Earth Shift Report, Empire Collapse, Geopolitical Trends, Predictions 2014 & Long-Term, USA/EU/West and tagged BREXIT implications for EU, BREXIT referendum, Cameron, Earth Shift Report, ESR12, EU analytics, EU Revolts, Lada Ray predictions, LadaRay.info, Obama, SPECIAL PREDICTIONS EARTH SHIFT REPORT 12: THE FUTURE OF THE EU, TPP, TTIP, UK, US empire collapse, when will EU collapse. Bookmark the permalink. 8 Comments. Funny, exciting stuff. Just finished your report, your analysis is thorough and covers all the scenarios. Brilliant report, as usual! What would we do without you, Lada. This is historic! No, you certainly aren’t banned. You may go ahead and post your comment. I didn’t see it in my timeline, so there is a possibility that you’ve used some sort of trigger words that WORDPRESS bans. Also, it’s possible that your own UK govt blocks your post. Suggestion: you may want to revise your comment to eliminate any ‘offending’ words. On my end, just from scrolling down your comment briefly, I’d appreciate it if you took out any spoilers as it would be a disservice to those who haven’t listened to my ERS 12 yet. Spoilers aren’t permitted (but to reiterate, it wasn’t me who blocked your comment). Maybe UK govt also doesn’t want your spoilers, lol (just kidding). THANKS SO MUCH! AND MANY THANKS FOR YOUR GENEROUS DONATION AND CONTINUED SUPPORT! I say this semi-jokingly, but you know, there is always a bit of truth in every joke. In other words, use your discretion since there are trigger words that may become an issue in posting an otherwise terrific and important comment. Interesting to read your report Lada and thank you. I do hope there will be resolution within a shorter timeframe.! I think people are fed up to the teeth with it all now and I personally see things happening long before your predicted date (wishful thinking). Many commentators here are predicting voter manipulation and I personally know that they manipulated the Scottish Referendum. 21st Century Wire conducted a poll over the last week and it resulted in 82% Leave result. It is true that the BREXIT is not legally binding on the EU or Tory government to enforce. The UK is not part of the Shengen zone and did not buy into the Euro so severing from the EU may not be that complicated but they will probably drag it out .I think the EU would just love to get rid of Nigel Farage and his fabulous speeches! 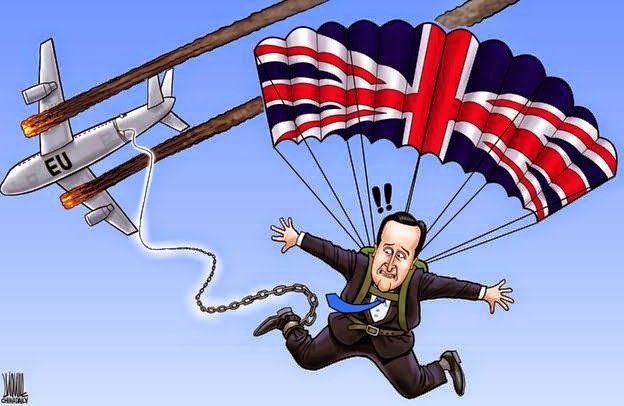 However, Cameron will fear for his life if he backs down and does not do the people’s bidding. He has announced already that he is not standing for re-election. So definitely Cameron and Osborne the Chancellor will soon be gone. Boris is busy doing his PR to be his replacement. The fear laden Remain campaign along with the BBC bias has been sickening to live through. I am confused that you put so little value in the importance for the UK population of their Independence from the EU Anti-Democracy when you are so passionate about Russian national pride and independence. The original signing of a trade agreement in 1975 has morphed into a EU Dictatorship and Heath lied to the people. Much of the paperwork from 1975 was stamped “Do not release for 30 years” and has only recently emerged. Many people here have passionately canvassed for 30 years to get out of the EU. Indeed Thatcher left office pretty soon after she developed a healthy mistrust and disillusionment about the EU project. Sure the US is behind it all and I agree that all orders come from the zionists and their New World Order agenda. It is pathetic the way the UK has done the US bidding since the end of WW2. I am sure there are many here (UK) that really wish they could turn back the clock and do things differently. Remaining a part of the EU and the cost to the UK taxpayers is a big issue here. We paid £1.5billion supercharge at the end of last year… even though Cameron fussed about it he paid it. Greece has just had another bailout of EU quantatively eased funds. Italy is looking a basket case and its debt is over 100% to GDP. Spain, Portugal and Ireland also. This further devalues everybody’s assets. The whole mess is out of control and I personally don’t see it lasting too much longer as people are at breaking point already right across the EU about its agenda and also questioning its defence capability ambitions. The British will not stand for their military being part of an EU Army! 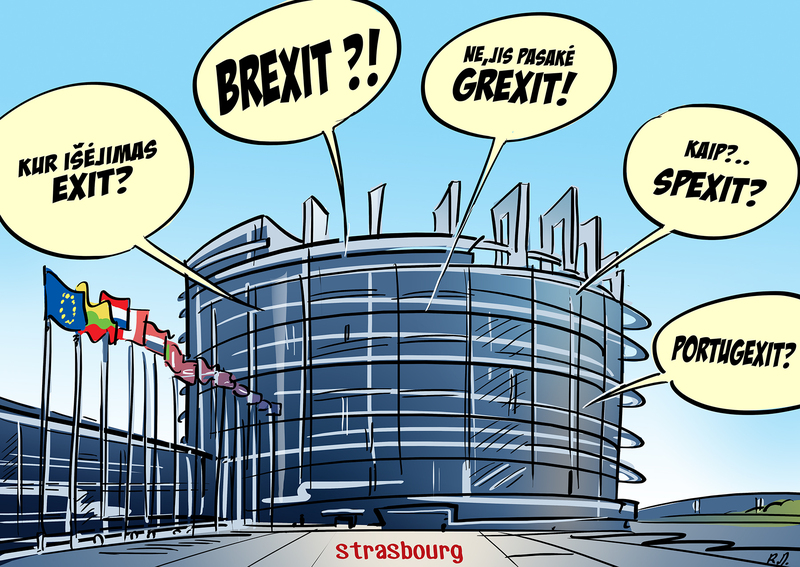 Dexit, Frexit, Itexit, etc. are definitely being considered now. France is in protest mode right across the country and there is much misery everywhere. One thing is for sure that with the BREXIT campaign we thoroughly know now all the facts about the EU and what a disaster and expense it has been. One calculation has it that the UK would have been 22% better off if it had not joined. 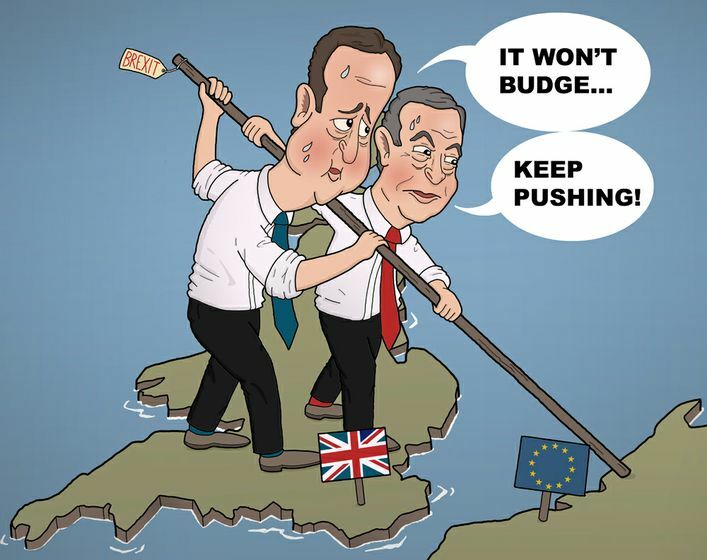 The UK as the second largest economy is fed up with financing the rest of the EU. Nobody but Germany has actually profited from being a member of the EU. 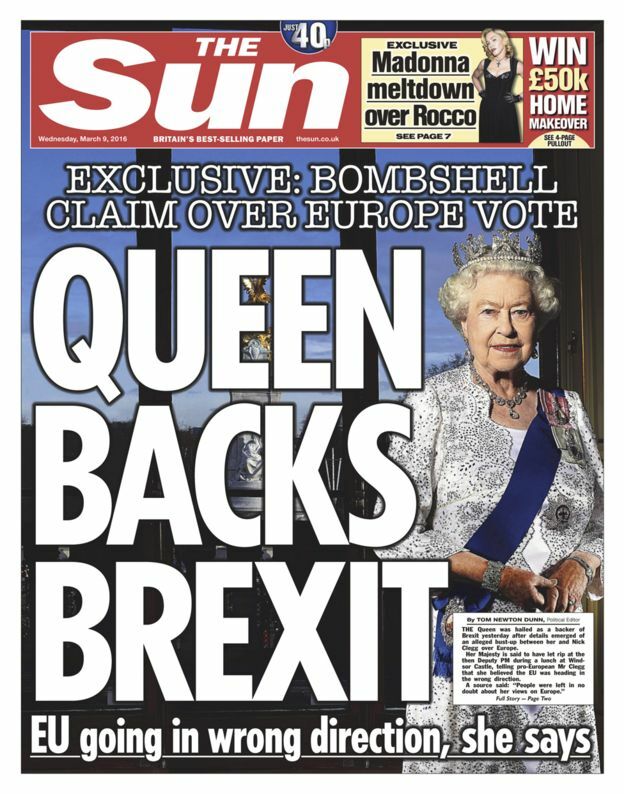 Voting Leave tomorrow… we will know friday morning what the “result” will be. Thank you Lada. Yayyyyyyyyyyyy!! We won. Independence Day UK. Is this the end of the EU?!?? Stunning result and most of us are surprised as we felt there might be a manipulated vote. Some regions of England voted 71% Leave. London was 60-40 in favour of Remain. Trump just commented on BBC saying he predicted it and thought it was fantastic. Augers well for his possible presidency and relations with UK, Perhaps the cold war rhetoric will now diminish as there were Leave promoters who wanted a reassessment of this. I really felt that the energy was so high for Leave that there would be this result even though I hardly dared it would happen with all the negative disinfo from the Remain side, not to mention the scandalous use of FF/Hoax “assassination” of Jo Cox used by Remain propaganda. For me the jury is out as I have not seen a dead body. Sounds callous but we are conditioned now to question everything that the msm say. The Sun here was the only backing Leave. Possibly Google and GCHQ Lada…. I often have interference in Skype calls and strangely comments on RT!! On your Eurasia Union aspirations Lada… I feel with the disintergration of the EU there is an even greater opportunity for its success. Certainly this is a huge slap in the face to the NWO agenda and the EU Dictatorship. I expect to see ll manner of other Exits as predicted above. TTIP looks doomed as I feel that this Leave result was also very against this. Exciting times. I feel on a huge high and inexplicably euphoric!